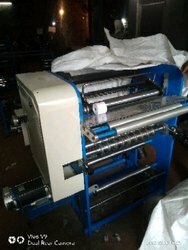 By utilizing skills of our dexterous workforce, we are manufacturing and supplying a comprehensive range of Paper Rolling Machine. 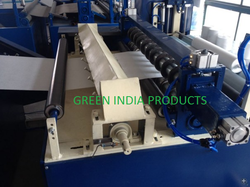 With sincerity and hard work of our professionals, we have carved a niche for ourselves in this domain by providing a premium quality gamut of Paper Rolling Machine. Bosung Eng is a specialized company concentrating on the development and manufacturing of roll paper cleaners, SMT nozzle cleaners and SMT nozzles & parts. We are highly acknowledged organization engaged in presenting remarkable range of Automatic Paper Roll Winding Machine (DC Motor with Drive).